Born into the coal industry Lindhurst has continuously evolved to face the challenges of fabrication & mechanical & electrical engineering. 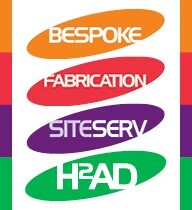 Lindhurst has broad multimarket experience & our portfolio comprises a wide range of fabrication, mechanical & electrical services from our 4 distinct departments of Fabrication, Bespoke Machine, SiteServ & Micro H2AD. Each department has a distinct targeted market sector with a value proposition tailored to that particular sector. Lindhurst provide innovative solutions to challenging projects with our range of services & products covering the whole of the UK for fabrication & mechanical & electrical engineering. Always looking to the future, the spirit of innovation at the heart of the company has enabled Lindhurst to take on diverse projects & actively seek new challenges. Please get in touch with your engineering challenge. We will be delighted to help. This is excellent – first class. Please ensure this standard is maintained so I can use it as an example of a supplier who provides what the customer wants.